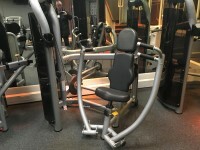 You are on Leisure Facilities Introduction (You Fit East Kilbride). Skip to the next section. 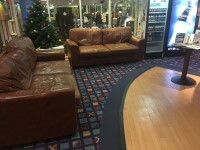 The leisure facilities are located opposite the hotel entrance. 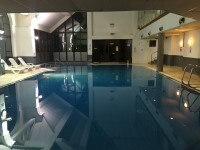 The leisure facilities can be accessed from the hotel. 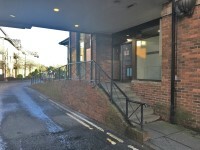 The leisure facilities may be accessed via the first floor bridge. 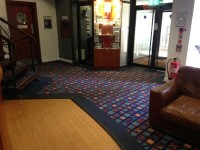 However access from within the hotel to the leisure facilities has stepped access. 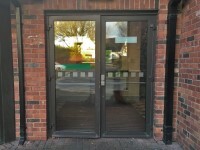 Step free access can be gained by using the external entrance to the leisure facilities. 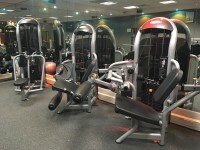 The leisure centre is called You Fit East Kilbride and is also open to membership. 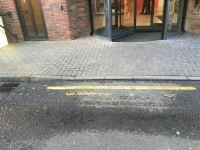 The venue does have its own limited parking facilities. 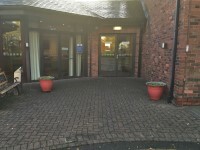 The venue shares the hotels parking facilities. 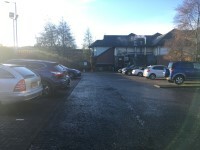 The car park is located on the left of the access road before the leisure facilities. 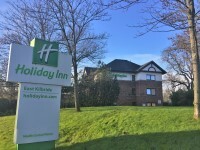 The Blue Badge bays are located on the access road but are shared with hotel users. 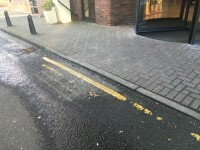 Additional parking is available outside the hotel. 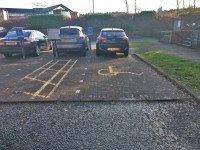 The nearest designated Blue Badge parking bay is approximately 30m (32yd 2ft) from the leisure facilities external entrance. 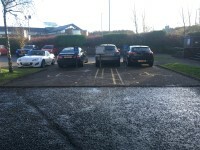 The car park is for leisure facilities permit holders only. The Blue Badge bays are shared with hotel users. 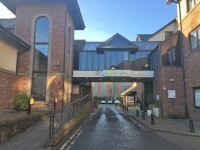 Though parking is free outside the permit holders' car park, all car registration details must be registered at either the leisure facilities reception or the hotel reception. You are on Opening Times (Leisure Facilities). Skip to the next section. 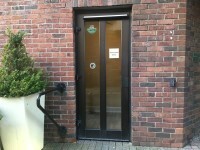 You are on Outside Access (Leisure Facilities External Entrance). Skip to the next section. 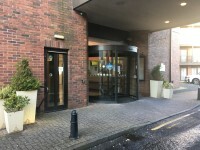 This information is for the entrance located at the front of the building, opposite the hotel entrance. 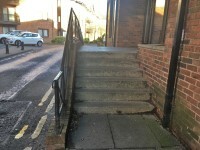 The width of the ramp/slope is 147cm (4ft 10in). 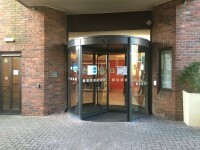 You are on Entrance (Leisure Facilities Internal Entrance). Skip to the next section. 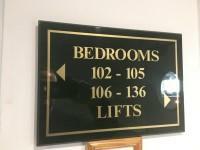 This information is for the entrance located on the first floor of the hotel, on the access bridge. 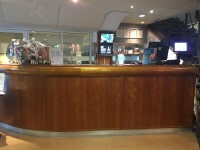 The reception point is located on the ground floor, ahead as you enter the leisure facilities external entrance. 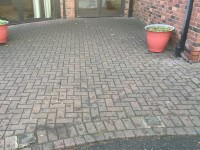 The reception point is approximately 5m (5yd 1ft) from the leisure facilities external entrance. 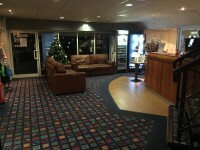 The lighting levels at the reception point are varied. 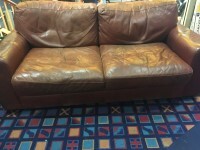 There are sofas only in the waiting area. 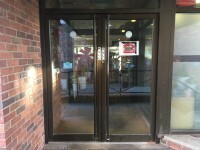 There is not step-free access throughout the building. 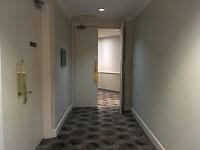 There is/are 4 clearly marked step(s), with a handrail on the right going up, for access to the cardio room on the first floor. 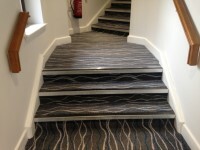 These steps are to the left as you enter via the leisure facilities internal entrance. 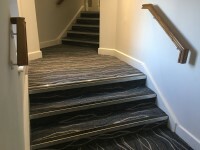 The steps are shown in photograph 6. 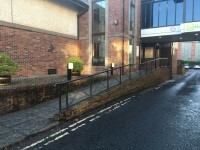 There is/are 4 clearly marked step(s), with a handrail on the left going up, for access to Studio 1 and the boxing area. 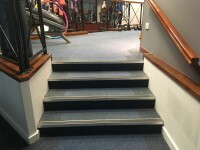 These steps are straight ahead as you enter via the leisure facilities internal entrance. 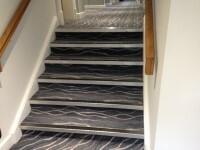 The steps are shown in photograph 7. 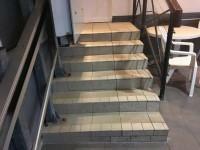 There is/are 4 clearly marked step(s), with a handrail on the right going up, for access to the boxing area. 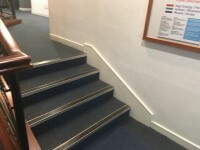 These steps are located on the first floor, to the right as you enter via the leisure facilities internal entrance, as shown in photo 8. 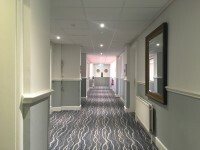 There are corridors/walkways with a surface width of less than 120cm (excluding any permanent obstructions over a small distance). 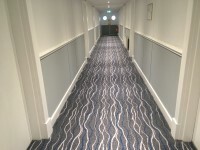 The type of flooring in corridors/walkways is carpet and laminate. 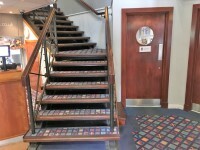 Access to other floors/levels is via stairs. 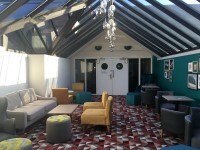 Music is played in the entrance lobby and in other areas depending on use. 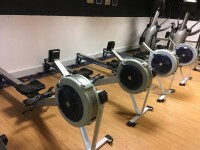 The fitness suite is located on the ground floor, to the left as you enter via the leisure facilities external entrance. 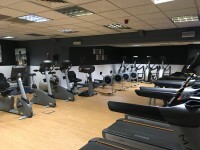 The fitness suite is 5m (5yd 1ft) from the leisure facilities external entrance. 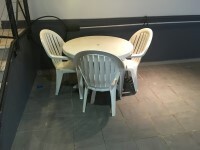 The opening is 96cm (3ft 2in) wide. 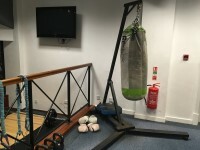 On the first floor there is also a spin room with level access from the leisure facilities internal entrance and stepped access to a boxing cardio area and studio. 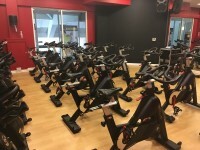 You are on Step(s) (Fitness Suite). Skip to the next section. 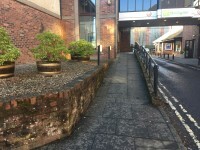 There is a/are step(s) located to the right as you enter from the leisure facilities external entrance. 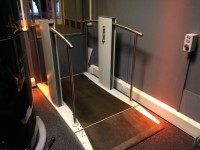 The step(s) is/are used to access the fitness suite. 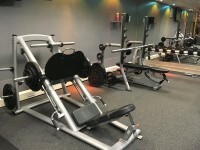 You are on Lift (Fitness Suite). Skip to the next section. 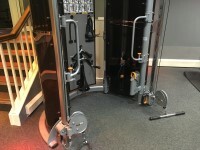 The lift is located ahead as you enter the fitness suite entrance. 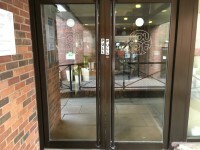 The lift is approximately 7m (7yd 1ft) from the leisure facilities external entrance. 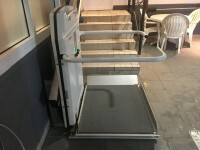 There is not a clear level manoeuvring space of 150cm × 150cm in front of the lift. 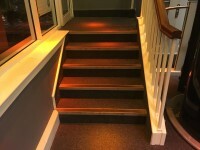 Lighting levels are at least 100 lux at floor level in the lift lobby. 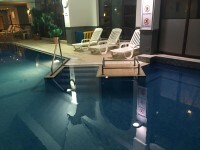 There is not level access from the changing area to the swimming pool. You are on Step(s) (Swimming Pool). Skip to the next section. 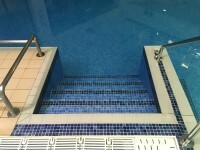 There is a/are step(s) located to the right on entering the swimming pool entrance. 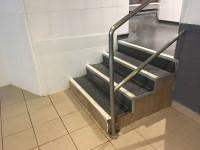 The step(s) is/are used to access the swimming pool from the accessible changing room in the reception lobby. You are on Lift (Swimming Pool). Skip to the next section. 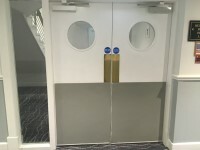 The lift is located to the right as you enter the swimming pool entrance. 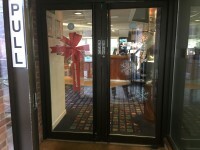 The lift is approximately 10m (10yd 2ft) from the leisure facilities external entrance. 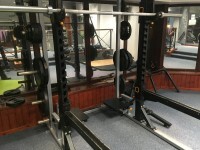 The dimensions of the lift are 80cm x 104cm (2ft 7in x 3ft 5in). You are on Step(s) (Changing Area to Poolside). Skip to the next section. 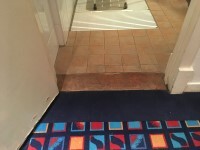 There is a/are step(s) located between the changing areas and the swimming pool. 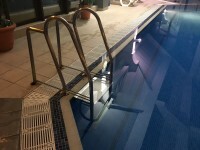 The step(s) is/are used to access the swimming pool. 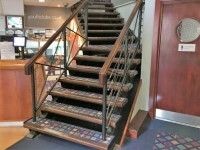 The stairs are located in the entrance lobby. 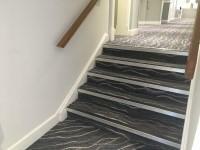 The stairs are approximately 6m from the leisure facilities external entrance. 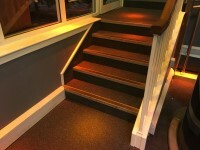 The lighting levels at the steps are low. 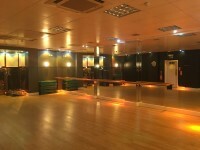 The area(s) on the floors which are not accessible is/are studio 1, boxing area and cardio room. You are on Changing Area. Skip to the next section. 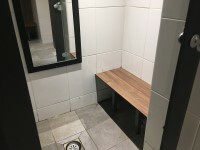 There is a/are changing area(s) available. 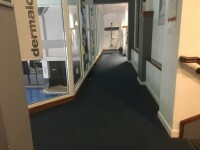 The changing area that was surveyed is located on the ground floor, to the right as you enter the leisure facilities external entrance. 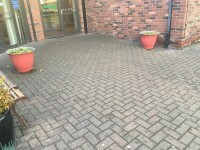 The changing area is approximately 6m from the leisure facilities external entrance. 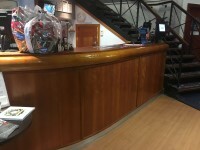 The changing area is approximately 5m from reception. 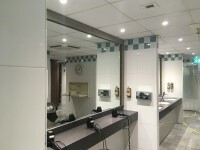 The changing area is approximately 15m from the swimming pool. 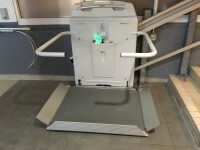 There is step-free access to the changing area. 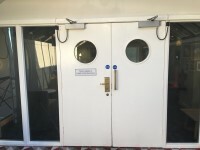 The facilities available within the changing area include; an accessible changing room/cubicle, standard changing rooms/cubicles, standard showers, standard toilets and baby change facilities. 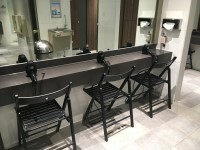 This is a male changing area. 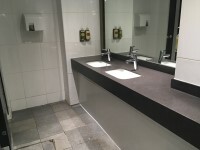 Similar female changing area(s) are available. 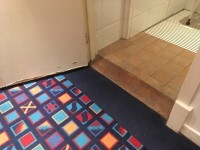 The type of flooring in the changing area is tiles. There is not a flashing fire alarm beacon within the changing area. 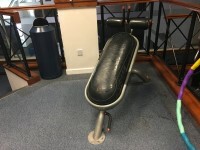 There are changing benches or seats within the changing area. 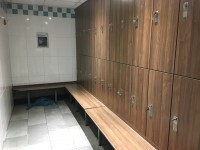 There are lockers within the changing area. 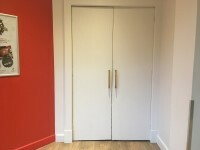 There is a/are locker(s) within reach for a wheelchair user. There is not a water dispenser available. The lighting levels in the changing area are good. 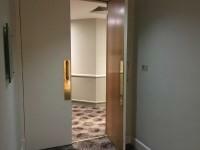 There is step-free access to the shower facilities. The height of the shower head(s) is/are 180cm. The shower control type(s) is/are twist/turn. There is no seat for the shower(s). 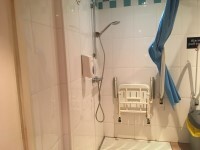 There is not a/are not wall-mounted grab rail(s) available for the shower(s). 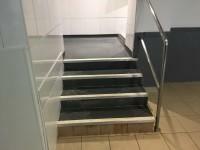 There is step-free access to the toilet(s). The lighting levels in the toilet(s) are good. 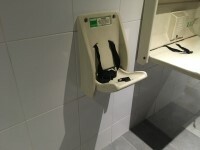 Baby changing facilities are located in the changing area. 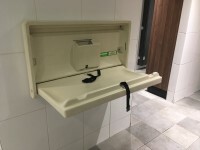 The height of the baby change table once extended is 92cm. 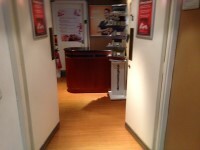 There is level access into the female and male changing rooms from the leisure facilities external entrance. 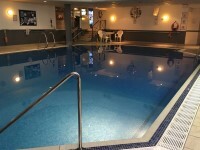 Access from the changing rooms to the pool at the rear is via steps. 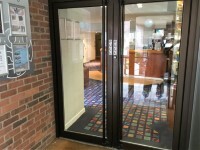 Step free access to the pool may be gained via the swimming pool entrance in the reception foyer. 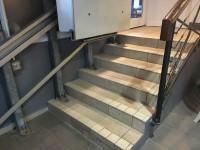 You are on Step(s) (Changing Areas). Skip to the next section. 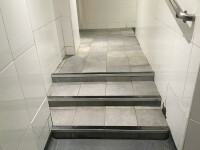 There is a/are step(s) located at the entrance/exit to the male changing area on the poolside. 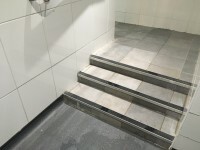 The step(s) is/are used to access the changing area from the poolside. 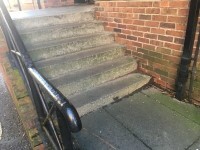 The height of the step(s) is/are 12cm. 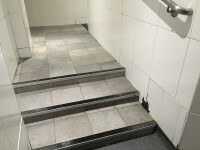 There are similar steps in the female changing area. 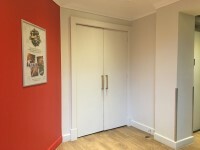 The accessible changing room is located on the ground floor, to the left of reception. 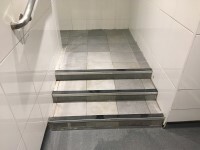 There is not level access to the accessible changing room(s). 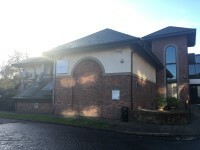 The accessible changing room(s) is/are approximately 11m (12yd 1in) from the leisure facilities external entrance. 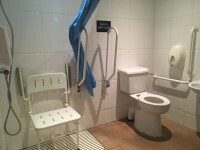 The dimensions of the accessible changing room(s) are 227cm x 178cm (7ft 5in x 5ft 10in). The lateral transfer space is 155cm (5ft 1in). 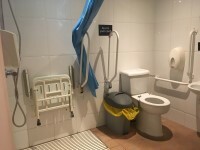 The fixtures/facilities available in the accessible changing room(s) include; a chair/stool, a dropdown rail, a toilet, a wash basin and a wheel in shower. 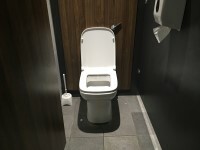 The toilet seat is 49cm (1ft 7in) above floor level. 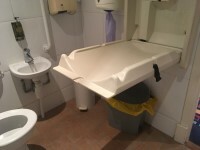 The height of the sink is 69cm (2ft 3in). You are on Level Change (Accessible Changing Room). Skip to the next section. 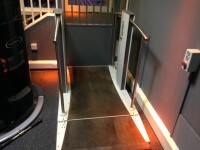 The ramp/slope is located in the doorway. 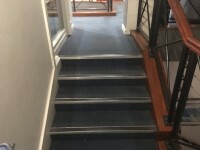 The width of the ramp/slope is 87cm (2ft 10in).